Failed sacroiliac surgery is a major letdown for patients who risk everything to find relief, yet still have pain postoperatively. Failed surgery is statistically rather common when it comes to regional procedures that include lumbar spinal operations, hip operations and sacroiliac joint operations. However, we are happy to report the SI joint procedures feature some of the best statistical outcomes of all these surgical techniques, decreasing the chances of suffering an unsuccessful operation for most patients. Failed surgeries still happen, however, and affect many postoperative sacroiliac patients each year. There are many reasons why a procedure might fail to deliver a positive and satisfying outcome. Most of these circumstances can be easily prevented by the patient or their physician. This important dialog explores why sacroiliac joint surgeries fail. We will also detail what steps can be taken to prevent yourself from becoming a victim of failed surgery should you decide to pursue invasive interventions for chronic sacroiliac pain. As mentioned above, sacroiliac-specific procedures demonstrate rather promising success rates for all types of procedures and diagnoses. However, this might be simply because the majority of SI joint concerns are treated nonsurgically and only truly indicated cases are usually operated upon. This is a stark difference from hip and spine operations that are far more commonplace and often performed prematurely or as optional modalities of care. Only a small minority of SIJ pain problems will eventually be treated surgically. Most of these cases include patients with verified mechanisms of symptomatic action in the joint that can be targeted using fixation procedures. A very small number of patients undergo less invasive ligament-targeting techniques. Sacroiliac fusion tends to fail more than soft-tissue techniques, but still performs much better in the SI joint than in the lumbar spine, for sure. All this being said, about 10% to 15% of all SI joint fusions suffer significant complications. These factors include infection, failure to fuse, continuing or worsened postoperative pain or other occurrence that eventually leads of some 2% to 5% of all sacroiliac surgeries being called failures. Serious infection can ruin any surgical outcome and might result in permanent damage to the joint or surrounding tissues. Most infections can be brought under control with pharmaceutical therapy, while some might necessitate follow-up surgery. Very few cases of infection are the real reason for surgical failure. Failure to fuse is one of the more common serious complications that often leads to a significant percentage of surgical disasters. Sometimes, follow-up surgeries can rectify the condition, but in others, patients might have to suffer with a painful and unresponsive joint for life following fusion failure. Idiopathic reasons account for most surgical failures in the sacroiliac joint. 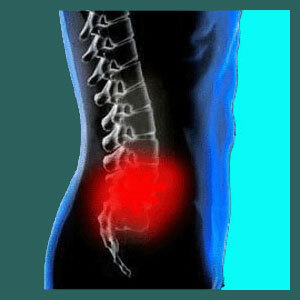 Following surgery, the therapeutic objective is often well met, yet pain remains or intensifies. In most cases, this signifies a mindbody pain syndrome or general misdiagnosis wherein the pain was actually created by some other structure or process from onset. Misdiagnosis is certainly the leading reason for SI joint surgery failure. First, never consider surgery without getting several qualified, professional medical opinions of both the accuracy of the diagnosis and the prognosis of the surgical recommendation. This will drastically improve chances for successful therapy, regardless of which type of path is selected to treat the pain. Next, if you do decide to go through with surgery, hire the best and most experienced surgeon for the job. Doctors are not equal in skill or training. Your selection will influence your postoperative results more than any other single factor. Choose wisely. If you decide on surgery, investigate the last invasive treatment route and any technique that can maximize chances for a successfully outcome with less chance for complications. Finally, you can simply not undergo surgery and try to exhaust conservative methods of care first. Many patients are surprised that noninvasive care can relieve pain in the SIJ permanently for some diagnoses. There is certainly nothing to lose by trying, since surgery will still be an option later on if necessary.